J.L. 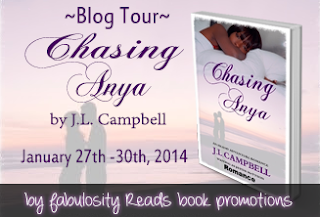 Campbell: Welcome Chasing Anya Into the World! Welcome Chasing Anya Into the World! The contemplativeness of the model spoke to me and when I first saw the photo, I knew she was right for the cover. If you also wish to help with the tour when that comes you up, can sign up here (and give yourself a chance at a $25.00 Amazon voucher) or if you want to read and review outside of the tour, email me at jmwordsmith at gmail dot com. 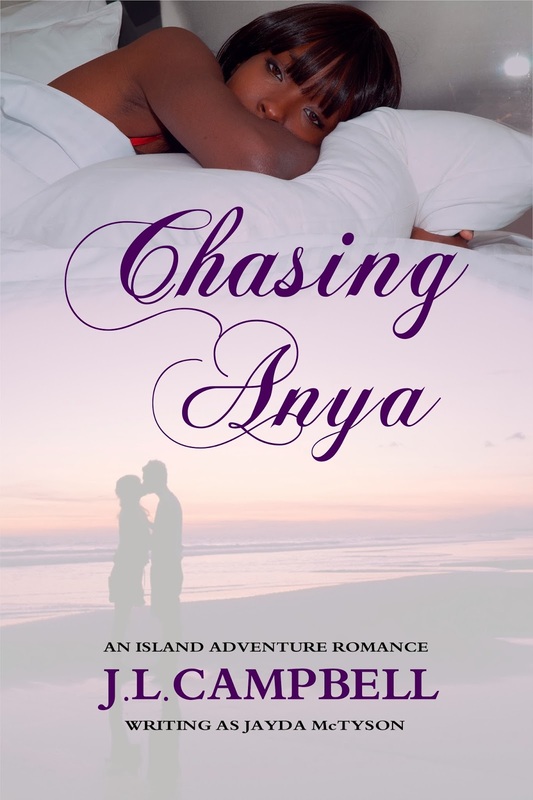 Chasing Anya is available at Amazon. Thanks for being an awesome blogger, Alex. It's a beautiful cover, Joy. Thanks, Diane. I like it too. Wow, look at all the bloggers helping to get the word out! You rock, Joy. And I totally agree, the model for the cover looks sad, thoughtful, lonely and abandoned. Ah, Bish, that's the essence of her story. Thanks for dropping in. Oh you are using a nom de plume! Congratulations, Joy! Thanks, Michael. It was something of a mistake made in my earlier writing life that I'm trying to rectify by adding some titles. Thanks, Angela. Hope you enjoy. it when you get to it. Oooh, I love that cover, AND the way you write. I have about 50 books in my immediate TBR queue, but will BUY the book and review, when time permits. Best of luck to you and Anya! Good luck on your tour. You're going to be really busy. 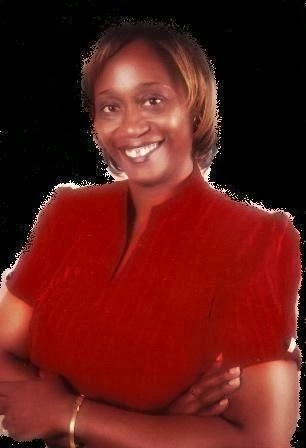 Joy, I'm so excited for you!!! Congratulations! I've seen Anya all over BlogLand today! Congratulations, Joy. I'm so happy for you. I love, love, love the cover. I can see that you have a list of amazing bloggers to help spread the word. Wishing you all the best and I hope Anya will rock Amazon's #1 chart. I'll post your cover tomorrow. Congrats J.L. and the cover looks amazing. Berverly, thanks for coming by and for your support. I know all about that TBR pile. Me too, Michelle. Thanks for helping out! Thanks, Peaches. Just love that girl too. She's such a good fit for the story. Thanks, Sheena. I appreciate your help with this. It's been forever since I've been around--so happy to see you have a new one coming out. What a stunning cover. Congrats! Thanks for dropping in. Had a look at your cover too. Nice! I saw this book on Carol's blog yesterday. Love the cover and the premise! Thanks for dropping in, Stina. I'm so looking forward to reading this book. You have a great cover, too. Much success to you! Hi, Carol. Thanks so much for your kind words. It's perfect! Well done! Keep up working!